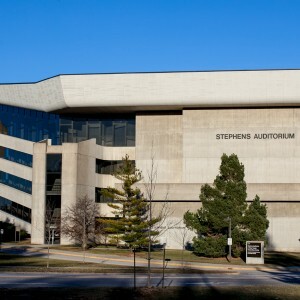 AMES, Iowa – Iowa State University has selected a new management company to oversee the Iowa State Center, which includes Stephens Auditorium, Fisher Theater and the Scheman Building. Iowa State will begin a five-year agreement with Ames-based VenuWorks Aug. 1. VenuWorks will manage all events, conferences, catering and concessions at the Iowa State Center. The Iowa State Center has been under private management since 1988, first with Ogden Corp. (acquired by ARAMARK in 2000). Since 2001, the Iowa State Center has been managed by Philadelphia-based SMG. That contract, which expired June 30, has been extended to July 31 to accommodate the transition to VenuWorks’ management. “We want to thank SMG for the service they have provided over the years, and look forward to working with VenuWorks for a seamless transition during the coming months,” said ISU Senior Vice President for Business and Finance Warren Madden. With the contract ending, ISU sought bids earlier this year, Madden said. A university committee reviewed proposals from both SMG and VenuWorks. “VenuWorks was selected based on the financial terms, its vision for the future, and expanded opportunities for ISU students,” Madden said. 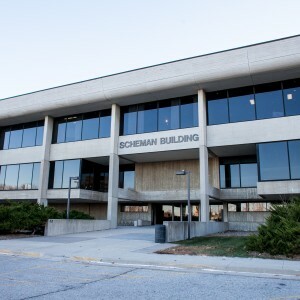 VenuWorks will assume all food and beverage services for Scheman, Stephens and Fisher, which has been handled by ISU Dining. 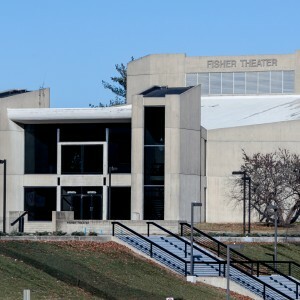 In the short term, VenuWorks plans to expand internships for hospitality management students and performance opportunities for ISU theater and music ensembles. Long-term, the goal is to renovate and expand the Iowa State Center. Peters said team members Sink Combs Dethlefs Architects, Mortenson Construction and Kinseth Hospitality Companies contributed their expertise to the VenuWorks proposal. The management change does not affect the adjacent Hilton Coliseum, which has been operated by ISU’s Athletics Department since 2008. Mark North, general manager of the Iowa State Center, will leave his position effective July 31. A new manager will be named within the next 60 days. VenuWorks plans to retain all other Iowa State Center employees. Peters founded VenuWorks in 1996. The company operates arenas, stadiums, theaters, amphitheaters, convention centers, museums and galleries in 12 states. Among more than 50 facilities managed by VenuWorks are the TDECU Stadium at the University of Houston, the Ford Center in Evansville, Indiana; the U.S. Cellular Center in Cedar Rapids, the Alerus Center in Grand Forks, North Dakota; the Topeka (Kansas) Performing Arts Center, Adler Theatre in Davenport and Hoyt Sherman Place in Des Moines.